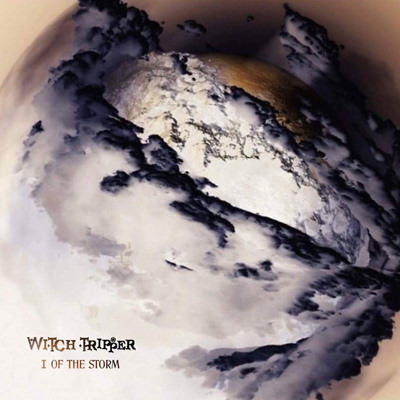 Witch Tripper‘s I, Of The Storm opus seemed an odd one. It set a certain tone instantly, coming across as a classic-come-doom rock release with a thick layer of sleaze metal. However, later tracks were very strongly reliant on first wave thrash. The juxtaposition wasn’t wrong. Just a little unexpected after such a definitive beginning. Coming to the end of the record, however, I hear the words white lines, which I’m sure is the title of the first track. And I’m correct. I’m not one to complain too hard about not tagging submissions properly – it really bothers some people, and could stop a band getting reviews and/or airplay – but, in this case, I think it really has an impact on the artistic flow of the release. These tracks were, I think, intended to be heard in a specific order. After sorting out the track numbers the whole thing makes way more sense. In fact, it is kind of a beautifully nostalgic sound, and not disjointed, as it seemed to begin with, but the character amplified instead. This album really taps into a not-so-guilty pleasure of drawling hair metal, combined with the soul of old school. Collectively, the tracks represent a blues soaked, hard-rocking, 1980s influenced cross-breed. Jakyl, meets Black Sabbath, meets Skid Row, meets White Snake, meets Quiet Riot, meets Ugly Kid Joe, meets Megadeth, meets Alice Cooper, meets Led Zep. Quite the melange. Taken individually, each and every track is a well-crafted story, with riffs to carry it easily along, and a rusty old vocal to die for. They’ve managed to pull the aces out of the original deck, and play their own hand here, and it’s incredibly re-listenable. That said, IOTS is also a grower, and the more familiar one gets with the songs, the greater the need for another fix. Posted in Latest News, Reviews and tagged I Of The Storm, Reviews, Slow Dragon Music, Witch Tripper.